Getting ahead in today's day and age is difficult, everyone knows that. But did you know just how much of your own present psychology is holding you back from achieving financial freedom? So much of our psychology has such a significant impact on our behavior. And, it's our behavior that dictates the choices we make, and ultimately our outcomes in life. If you've felt like you've been a slave to your own mind, and haven't seemed to be able to get ahead financially, then you must learn to dig deep. This isn't a book about get-rich-quick schemes or ideas, it's about unraveling and understanding what makes us tick, and how to go about changing that so that it empowers us rather than limits us. This book is about taking an honest and straightforward look at our present financial situation, understanding the patterns and behaviors that got us there, and learning to resolve that through knowledge and awareness. In this book from the Inspirational Books Series, I dive into a discussion about the psychology behind the millionaire mind. Learn just what happens during the all-important first five years of the development of our internal psychology, which impacts our drive to succeed. Understanding the millionaire mind involves so much more than just income and expenses; it embodies a full look at what makes us tick and why we make the decisions that we do. As you may have come to know, we can all act a little bit irrational around money, because it brings out some of our most basal instincts. Learn to leverage this knowledge and push past your limiting beliefs when it comes to money, and see if you're falling into any of the many "wealth traps" that exist today. All fluff, platitudes, cliche phrases. 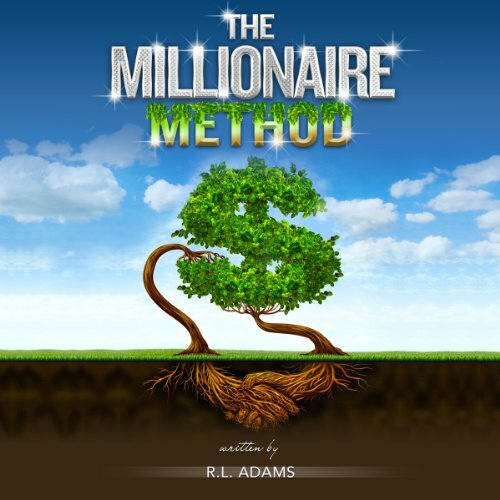 after listening to this book 3 times, I'm still waiting on the actual Millionaire Method. make no mistake, there is not a "method" contained in this book. there is lengthy discussion of Freudian psychology, but there is no "method" to becoming financially free. avoid this book. I did not expect all the information in here, very informative and most importantly-actionable. I would recommend this book.